Before March, 1916, Aubigny was in the area of the French Tenth Army, and 327 French soldiers were buried in the Extension to the West of what is now Plot IV. From March 1916 to the Armistice, Aubigny was held by Commonwealth troops and burials were made in the Extension until September 1918. The 42nd Casualty Clearing Station buried in it during the whole period, the 30th in 1916 and 1917, the 24th and 1st Canadian in 1917 (during the capture of Vimy Ridge by the Canadian Corps) and the 57th in 1918. The Extension now contains 2,771 Commonwealth burials of the First World War and seven from the Second World War. 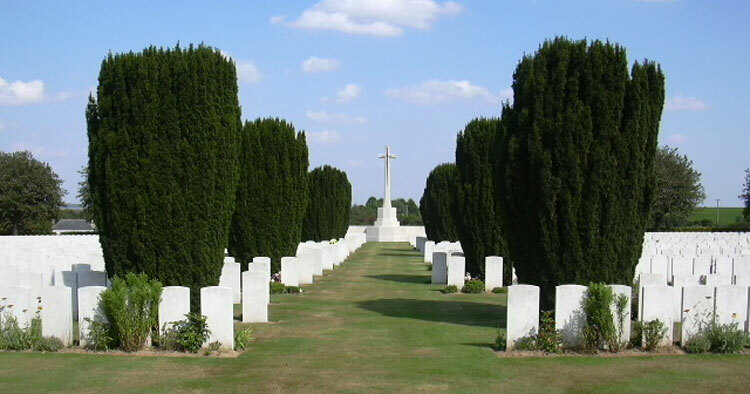 There are also 227 French burials made prior to March 1916, and 64 German war graves.